Neurologists Dr. David W. Morledge, M.D. | Dr. Hana Aubrechtova, M.D. | Dr. Albert B. Horn, III, M.D. | Dr. Kent T. Ellington, M.D. | Dr. Ray M. Bogitch, M.D. | Dr. Montgomery Verona, M.D. When choosing a physician, it is important to make an informed choice. This involves knowing the qualifications, training and experience of your physician. The physicians at Austin Neurological Clinic are neurologists who are specially trained in today's modern diagnostics, treatments, procedures and equipment. As a board-certified neurologist, Dr. David W. Morledge has practiced at Austin Neurological Clinic since 1990 and also currently serves as the Medical Director of the Brain Injury Program at Texas Neuro Rehab Hospital. With special interests in movement disorders, multiple sclerosis and traumatic brain injuries, Dr. Morledge holds hospital affiliations at St. David's Medical Center, Heart Hospital and Texas Neuro Rehab Center, among others. He previously served as the Chairman of Neurosurgery/Neurology at St. David's Medical Center. 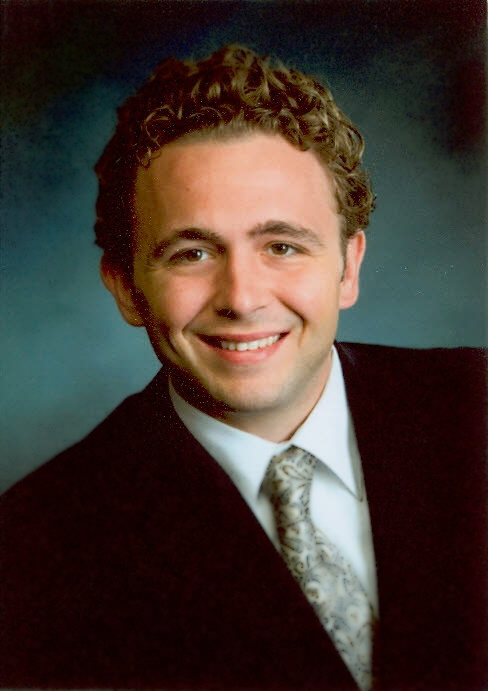 Dr. Morledge graduated with his medical degree and completed his internship in Internal Medicine at Texas Tech University Health Science Center. He then completed a residency in Neurology at Arizona Health Science Center. His work has been published in relevant medical journals, and he has also served as a sub-investigator for several different research studies. Dr. Morledge has been recognized as a Texas Super Doctor by Texas Monthly Magazine every year since 2004. Dr. Hana Aubrechtova is a general neurologist, providing comprehensive care at the Austin Neurological Clinic. She is a board-certified neurologist in the Czech Republic. She is also board certified in Acupuncture. Dr. Aubrechtova received her medical degree from Charles University in Prague and the Faculty of Medicine in Pilsen, Czech Republic. She then completed a Neurology residency in the Czech Republic and became certified in acupuncture for neurological conditions. Dr. Aubrechtova practiced in Europe for four years before coming to the US. Upon her arrival, Dr. Aubrechtova completed an internship at the Metrowest Internal Medicine Program in Framingham, Massachusetts and a Neurology residency at Virginia Commonwealth University Health Systems in Richmond, Virginia. Her diverse and heterogeneous training gave her a wealth of experience in the field of Neurology. She has also been trained for muscle chemodenervation using toxins like Botox and Myobloc, providing a variety of therapeutic injections for muscle pain and spasm relief. Dr. Aubrechtova keeps up-to-date on the latest neurological advances by attending annual conferences and other meetings. She is affiliated with St. David’s Medical Center and Heart Hospital of Austin. Dr. Montgomery Verona is glad to have joined Austin Neurological Clinic and relocate back to Austin Texas in September 2010. He graduated from Southwestern University in Georgetown Texas in 1982, and completed his medical school/Neurology residency at University of Texas Medical Branch in Galveston Texas finishing in 1990. Dr. Verona has been in private practice most recently in Evansville, Indiana. He was certified in 1993 by the American Board of Psychiatry and Neurology and recertified by the same in 2010. He has been an active member of the American Academy of Neurology since 1990. He enjoys helping adults with their neurological problems including NCV/EMG and EEG testing. He also enjoys spending time with his family and friends, biking/hiking trails, music, mountains, and medical mission trips. Dr. Walter Paul Werchan is the newest member of Austin Neurological Clinic, having joined in 2016. He began his academic career at the University of Texas at Austin where he received a B.S. in Neurobiology with highest honors and multiple awards. While studying Medicine at University of Texas Medical Branch in Galveston, he also became familiar with hurricanes. He completed an internship in Internal Medicine with the University of Texas Southwestern Medical Center Austin Program and a Neurology Residency at the University of Texas Dell Medical School Neurology Program in Austin, Texas. ​During Medical School, he conducted basic science research projects with the Ebola virus and has a publication related to his research that attempted to elucidate the molecular pathogenisis of Familial Alzheimer’s Disease. He is particularly curious about future molecular and genetic therapeutic techniques that are currently being developed, and he hopes to continue his research efforts into the use of viral vector mediated single-strand RNA interference to treat many neurodegenerative diseases, such as Alzheimer’s Disease, Parkinson’s Disease, and ALS. Currently, he is a sub-investigator for several large clinical stroke trials. Dr. Werchan desires to treat all neurological diseases, with special interests in Stroke, Multiple Sclerosis, Headaches, Sleep Disorders, Chronic Pain, Neurodegenerative Diseases, Neuropathies, and Epilepsy. He is well trained in the interpretation of EEG, the performance and interpretation of EMG/NCV studies, the administration of Botox for spasticity and migraine, as well as, in administering several nerve blocks for pain relief. He is a member of multiple professional medical organizations including the AAN, TCMS, TMA, and AMA. Dr. Werchan is married to a psychiatrist, Dr. Isela Werchan. They have two dogs and two cats. During the summers, they spend a great deal of time with friends and family enjoying all sorts of water sports on Lake Travis. He and his wife have a strong affinity for the outdoors, frequenting hike and bike trails with their dogs. The rest of his free time is dedicated to multiple team sports (mostly basketball and futbol), building and racing cars, enjoying exercise and woodworking. Sarah Granger is a board certified Adult Clinical Nurse Specialist​ with a focus in Neurology.​ She received her​ undergraduate degree in​ Biology at St. Edward's University. ​While there, she had the incredible opportunity to ​study abroad in Australia for 7 months. ​Sarah continued her education at University of Texas and received her Master's Degree. ​During rotations, she immediately felt drawn to Neurology, especially stroke. Because her stepfather had suffered from a stroke, she was determined to help other stroke patients and their families. An avid researcher and learner, Sarah enjoys attending conferences and documenting case studies. Several of her articles have been published in the Texas Neurological Society newsletter. Sarah and her husband, a local dentist, enjoy playing tennis, traveling, and making beignets together.